book covers to make you giggle, and Happy Thing! The one above is my favourite. What’s yours? Oh, and by the way, Happy Thing (whichever variety of thingness you do/n’t celebrate). We do Christmas; I’m a child when it comes to ripping open the presents. We’re planning the ginormous meal of the world–butternut squash soup, roast pork with roasted rooty goodness (turnip, parsnip, leek, carrot, fennel etc.) and mashed potatoes and green-beans-with-almonds, and mini pavlovas (oh, I love, lovelovelove, that stuff: meringue nests filled with mandarin orange and topped with cream). And a fabulous wine selection. And wonderful neighbours (and, hopefully, family–depends on the snow situation) to celebrate with. Happy Christmas to you and Kelley! Wow, you sound so cheerful. It made me giggle with excitement. We don’t know what we do in our household. E thinks we should celebrate a version of South Park’s “Creepy Critter Christmas”. I’m not sure cute animals that dig blood orgies are my thing, though. But we did get presents from family and friends, and presents are a Happy Thing. I can always enjoy gifts, no problem ;-) My favorite book cover is: <>Characters Show Up<>: Sequel to the #1 <>New York Times<> Bestseller <>More Subplots<>. Oh man, Mightygodking– every so often I follow a link to that blog & laugh my head off. 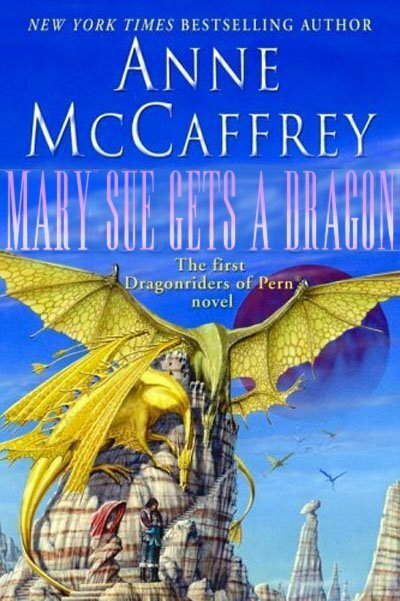 The Pern one is probably the funniest, but the Dune one hits the closest home (“Stop with this one, you'll be better off”) & the Wheel of Time (“Characters Show Up”) makes me want to travel back in time & tell little me not to bother messing around with Jordan at ALL. Also, the His Dark Materials one (“Hey Kids, God Isn't Real!”) only makes me remember how much I liked those Pullman books. Also: Xmas. I like to knock the “Christ” off of it. I am pretty greedy, & like to use gift giving to prove how clever I am (look at my clever gift idea!). Merry Christmas to you two and the whole gang. Be of good cheer and drink some too. Happy Christmas!Don’t celebrate the religious part of Christmas m’self, but we celebrate the togetherness that comes with it. We’re Solstice folks here. But I was such a wee tot today opening my presents…to find amazing tools and a model sailboat I’ll build in the next few months.Being with friends this holiday is important. We shared stories, humor, pot roast, wine, cake, and the 5 varieties of cookies I baked.Despite the 12 hour rain storm, we still have 6 inches of our snow left for a white xmas.But one sad thing: Eartha Kitt died today. I’ve been singing Santa Baby for a week. .sigh.I hope you all spent today with loved ones. Happy Thing, everyone! Jennifer– this years list included lots of Etsy stuff I commisioned– I got one young lady a copper Doctor Doom mask, another a Nintendo sprite pillow, another gentleman a mummified human hand (! ), & another guy a gladius. Other stuff too, but I think I had a good run. And Mordicai – not a real mummified human hand, was it?! ?